Had a full day event today and it was horrible due to the return of the haze. To make things worse, Ms Pan Asian and I were allocated outdoors under the sun. The majority of the part-timers from another event company were allocated the easiest job, but they still could be freaking lazy. Some of them disappeared during work, and the rest fall so deeply asleep that they started drooling. ? 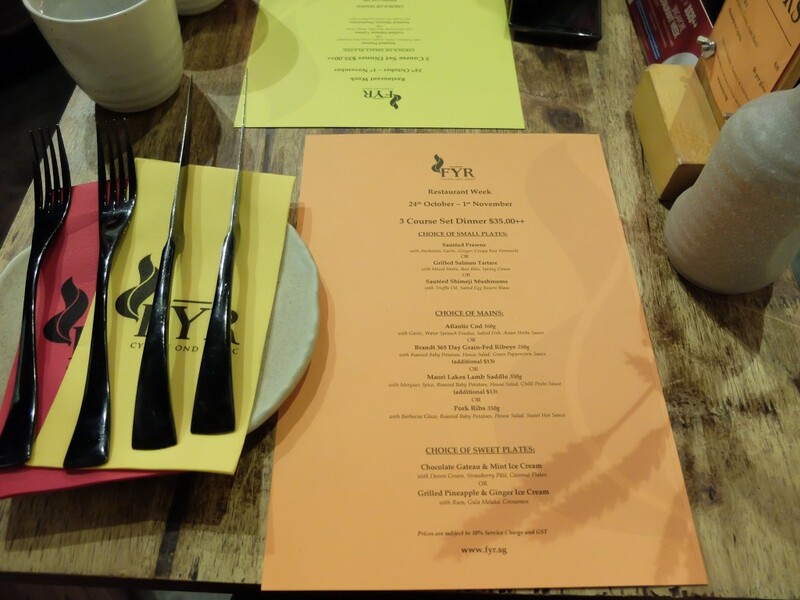 Back to topic, we’ve picked FYR for 2nd day of Restaurant Week 2015! This was an area that I would almost certainly never come during weekdays – there’s the ERP, crazy traffic and forever needing to fight for an (expensive) parking lot. 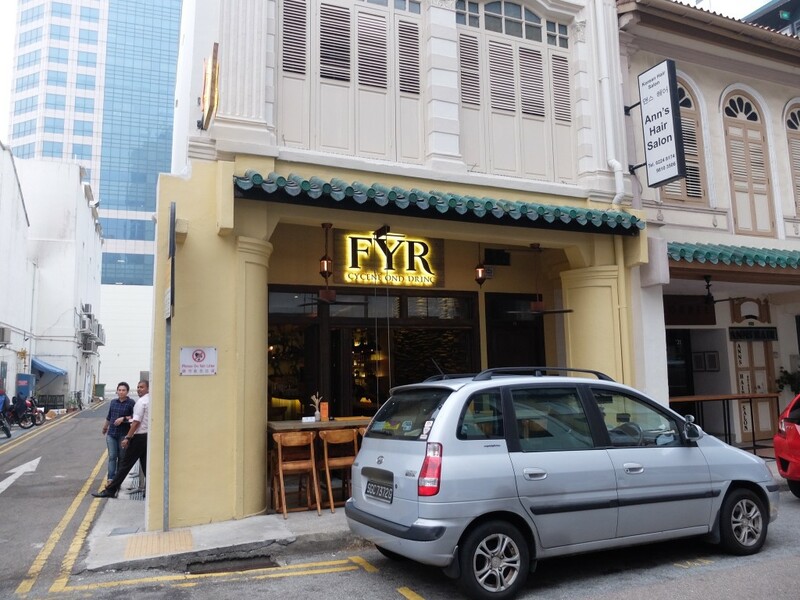 FYR serves modern european cuisine influenced by the spices and herbs of Southeast Asia and their food is prepared using Josper charcoal oven (just like Privé!). The staff here is extremely friendly! It’s not a fine dining kinda place, but more of a place with extremely personalised and very sincere service. 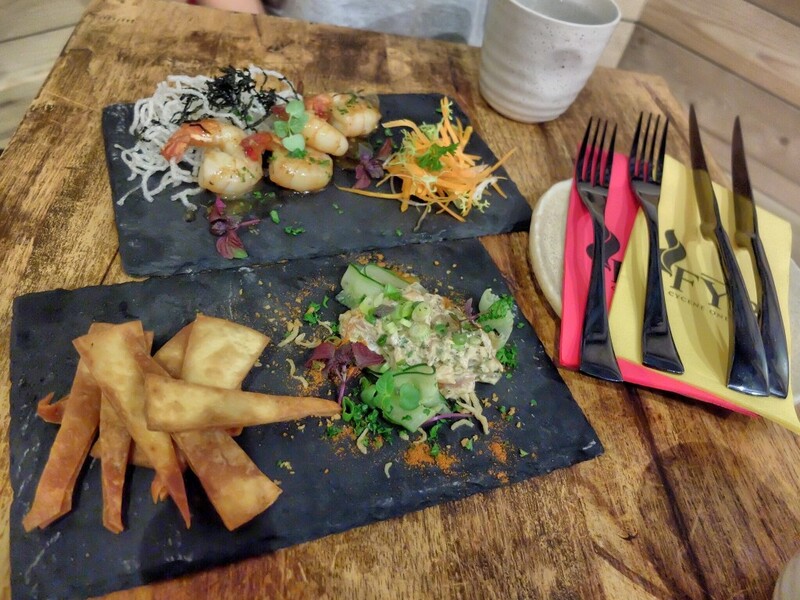 The service staff also knows their dishes really well, down to the special touches which the chef uses to bring out certain flavours.. and they’re more than willing to share it with you, too! Sautéed Prawns with anchovies, garlic, crispy rice vermicelli – these prawns were so succulent and juicy that really, 4 pieces weren’t enough for me. The crispy rice vermicelli gave it the slight oriental Chinese feel – you know, like what would be served at a traditional Chinese restaurant….. The other starter on the table was the Grilled Salmon Tartare with mixed herbs, ikan bilis, spring onions. Don’t be fooled by it’s “simple” look – this dish has actually so much flavour and you can even play with your food with the crackers! 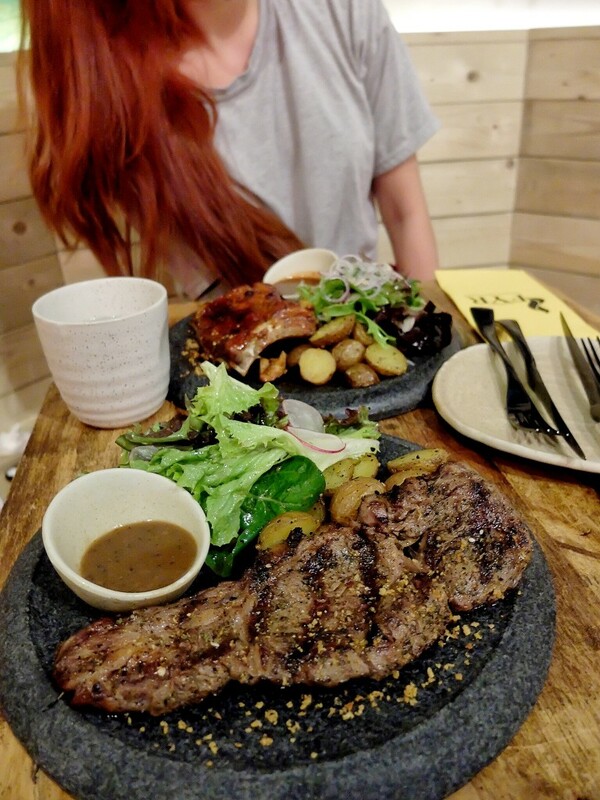 For mains, I went for their massively huge Pork Ribs (350g), and K went for their Brandt 365-day Grain-fed Ribeye (250g) which had an additional $13++ SGD charge. With Roasted Baby Potatoes, House Salad, Green Peppercorn Sauce. That’s right – 250 grams of Brandt 365-day Grain-fed Ribeye… An extremely generous serving guaranteed to fill up most, if not all, of your stomach. 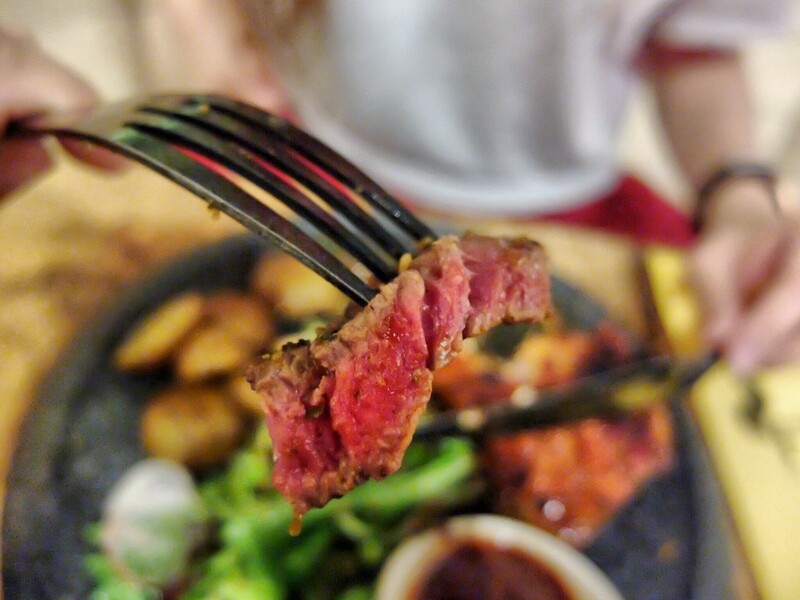 The slightly rare middle of the… well, medium-rare steak. Look at that perfectly done medium-rare steak! Slightly burnt outside, with a raw, chewy core. With Barbecue Glaze, Roasted Baby Potatoes, House Salad, Sweet Hot Sauce. 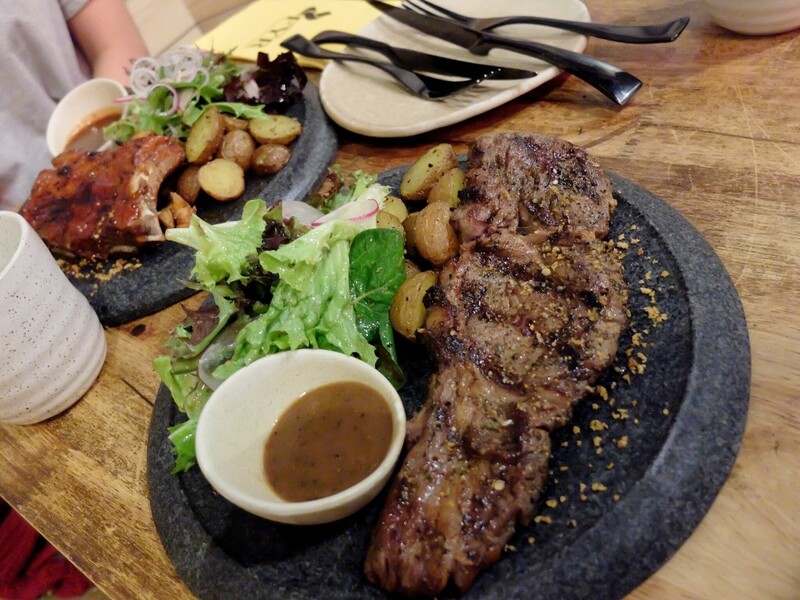 My main was simply huge – and it smelled slightly of sweet garlic. 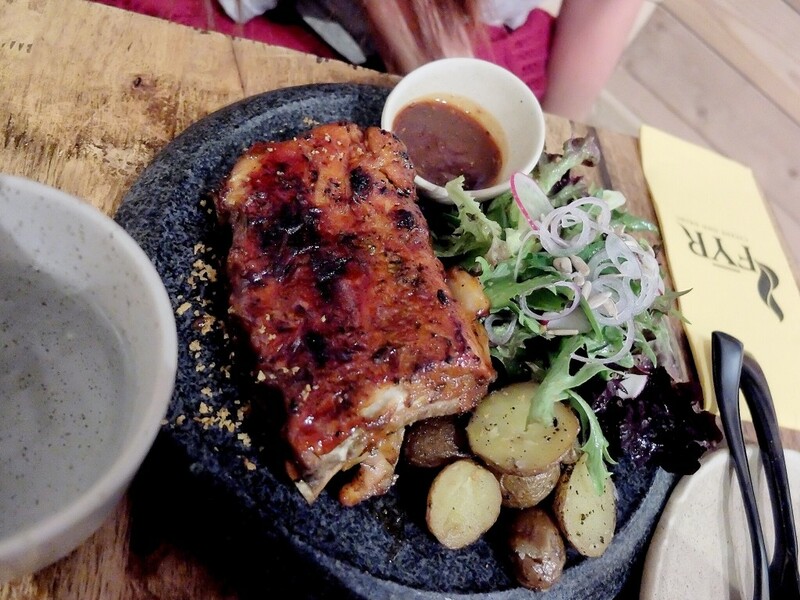 From afar, it actually smelled a little bit like bacon – the Pork Ribs (350g) was really a sight to behold. With Devon Cream, Strawberry Påté, Coconut Flakes. With Rum, Gula Melaka, Cinnamon. 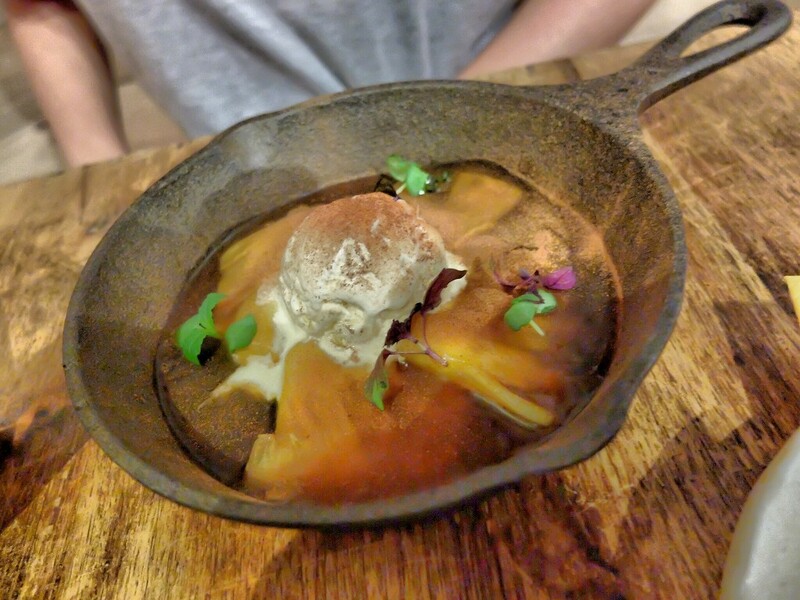 And then there was Grilled Pineapple & Ginger Ice Cream. Wait, what?! This dish is really one of an acquired taste – some would probably love it, others – hated it. It’s a little bit spicy and sour, and had a very strong gingery smell to it. 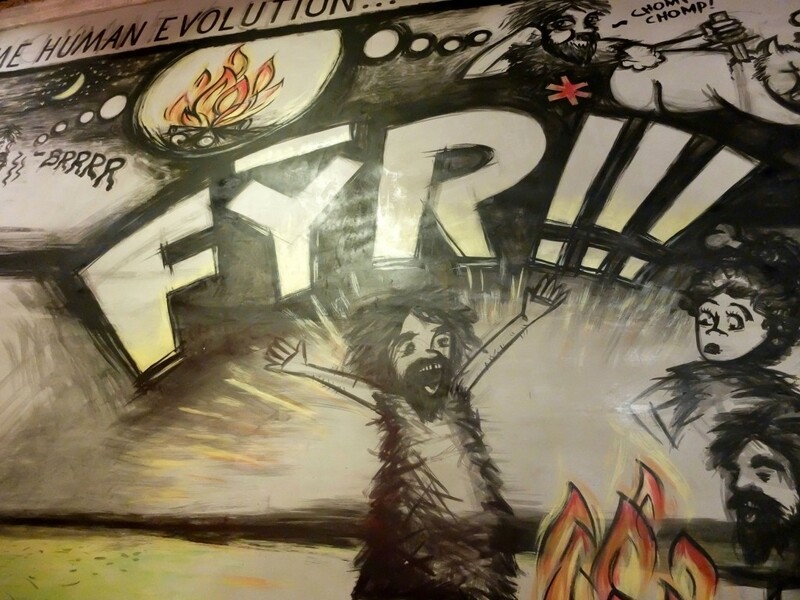 All in all, FYR is a really interesting casual place to dine. 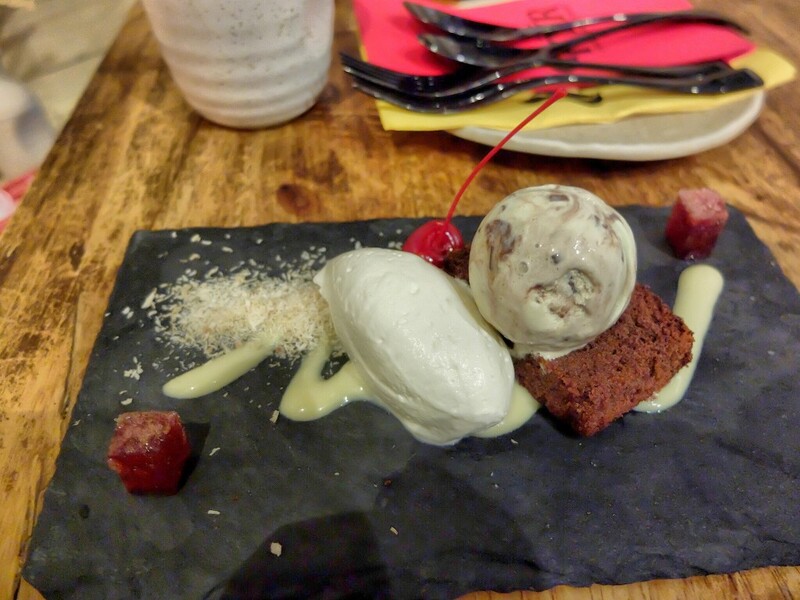 The atmosphere is fun, the staff is unpretentious, the food is amazing, and the chef certainly does know his little touches!